A “Day with the Boom” reached record enrollment after 900 plus students signed up this year. It was more than JSU music instructors and directors anticipated. 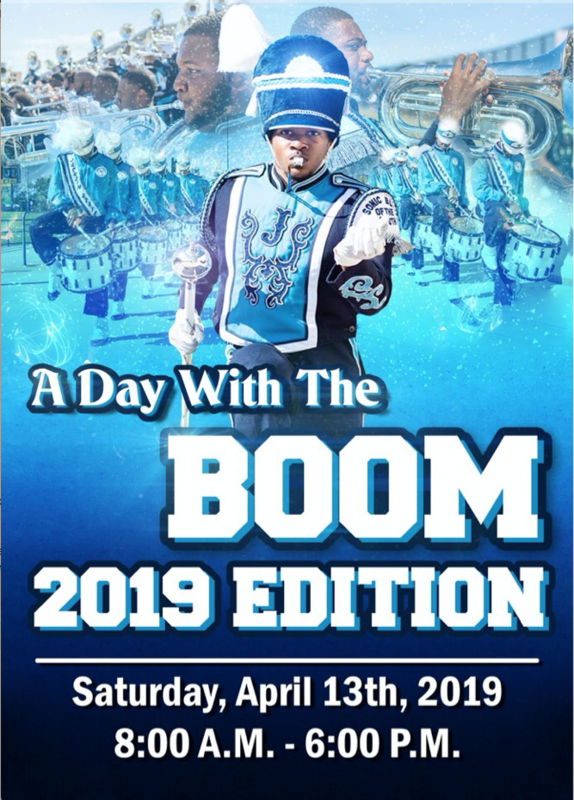 A “Day with the BOOM” is an opportunity for high school students (9-12 Winds, Percussion and Dancers), and all other students interested in Jackson to spend a day with The “Sonic Boom of the South” and gain firsthand insight on the band through music rehearsal(s) and a performance showcase on campus. Students will perform four to five (3-4) tunes with the Sonic Boom, learn one fanfare/cadence and dancers and drum majors will have a feature as well. “This brings traffic and publicity to the university by showcasing all of the wonderful attributes that Jackson State can provide for students,” said Little.